Auction is Closed Thank You. 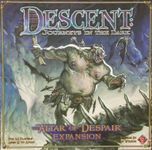 Basically I love Descent but can never get a dedicated to group to play it. 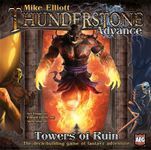 I have played it twice since second edition came out, and I went to lengths to acquire 1st edition games. However the lack of play has me thinking I don't need the 1st edition stuff. I am therefore selling it. 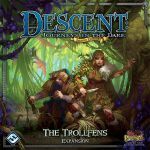 BONUS: Use BIN on the First edition Descent games and receive a promo figure, just state which you'd like in your BIN comment. 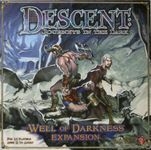 OR use BIN on all 1st edition Descent to receive all promos. and BIN, BIN only items (games that I will only get rid of for that price). I have the right to take items off (usually during a geekmail deal) unless it has been BIN. Shipping will be paid for by the buyer. Shipping is mostly done via Priority and will be either flat-rate or standard priority. It really depends upon my box availability and destination. Priority in general is easier for me to ship. However if multiple items are purchased I will combine and ship parcel usps, Fedex, or UPS. Depends on if there's a big price discrepancy. If combined there may be a small fee because I have to buy a box. Maybe like $3. Or I may ship in 2 separate boxes, but charge you less than the total of both. I cannot be held responsible for any issues a that happens to a game on its way to you after it’s left my hands. I will ship items as best as possible. I ship from 48152, Livonia, MI. Local pickup is possible, but I have a very hectic schedule so me meeting you someplace is a bit difficult. Serious bidders only. Upon winning an auction, payment is due shortly thereafter. I will not hold an item until you can get money (ie "I get paid in 2 weeks can you hold it until then"). 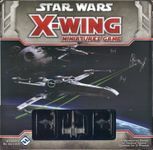 Condition: Box Acceptable - Some damage to the box, but the game is still intact. All of the pieces are in very good condition. Condition: Condition: Box Acceptable - Some damage to the box, but the game is still intact. All of the pieces are in very good condition. Condition: NIS. I bought one, then realized I had one on Preorder. Condition: Box has a smashed corner from not making it out alive from Gencon vendor hall. Components are in Like New. 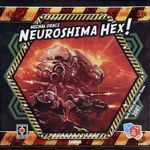 This is for my Neuroshima Hex Collection. Everything is in the base game box. Everything is in very good condition. All rules included, no other boxes. This is for my Thunderstone collection. Everything is in Base game box, and only played a couple of times. Everything is in very good-like new. I hate to sell this as I really do like the game, but it's sitting here doing nothing. Shipping: Will probably be UPS, Fedex, or Parcel. I don't think I can fit all this into a flat rate box.